You’ve seen them on TV. You’ve probably even heard people refer to them as legends. Yet, aside from seeing their faces or hearing their names uttered over and over again, you have no clue what makes these poker players so legendary. Today, I’m going to go through my pick for the three top poker legends. Some are living. Some aren’t. But they’ve all left their mark in poker one way or another. You might not agree with me, but that’s the beautiful thing about poker. Just like a winning strategy, everyone has an opinion. 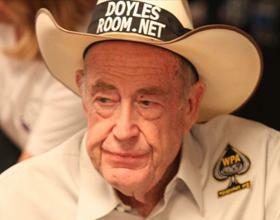 He’s known as the Godfather of Poker, and is widely credited with making poker mainstream. Without Brunson popularizing the game, it might have remained in smoky backrooms bars. But instead, thanks to his enthusiasm for the game, it made its way to HDTVs all over the world and is now enjoyed at countless online poker sites. How much has he won? $5.7 million. That’s all live winnings, though he doesn’t exactly play online (at least that we know of). Rumor has it he even handwrites his blogs and asks someone else to type them up for him, so we’re not so sure he knows how to use a computer. 10, 2. Why? Because he won back-to-back World Series of Poker bracelets with that hand. To have a hand named after you is a huge accomplishment. 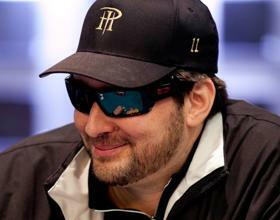 No other poker player has more WSOP bracelets than Phil Hellmuth. The live poker player who used to represent online poker site UB has won 13 bracelets as of publication (it’s possible that he’ll win another at the 2014 World Series of Poker). He’s also famous for throwing tantrums at the table. Phil Hellmuth is known as The Poker Brat. $17.6 million. That includes over $12 million at the World Series of Poker, where he cashed 12 times and made 6 final tables. 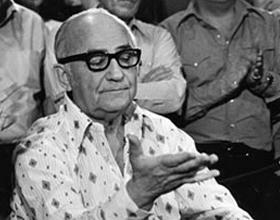 He won the very first World Series of Poker Main Event in 1970. It was actually a cash game event and he won through a vote of his peers. To be voted in by your peers speaks high volumes about how much you’re valued as a top player. But not one to rest on his laurels, he won again in 1971 and 1974 under the current tournament format. $1 million. While that’s peanuts when compared to some of today’s top pros – like Antonio Esfandiari, who’s won close to $26 million playing poker – he was a legend in his own right, particularly because most of his winnings occurred back in the ‘70s. What else makes him a legend? If there was ever any doubt that Moss is legendary, just take a look at the Poker Hall of Fame. Johnny Moss (or The Grand Old Man of Poker as he’s known) was the first poker player to be inducted into the Poker Hall of Fame. Today, only 46 people sit in the Hall of Fame, each one lucky to be on the same list as Moss.